When reading Kevin Carey’s article on Diane Ravitch in The New Republic (“The Dissenter,” November 23, 2011), two thoughts jostled in my mind: first, that any response would give the piece more credit than it deserved; second, that his misleading summary of her scholarship required a rebuttal. The latter thought ultimately won. Given our reactive political climate, in which cursory statements often pass for truth, someone should point out the errors and distortions in Carey’s statements. Carey attempts in his piece to discredit Ravitch’s work and credibility—and thereby to undermine her opposition to the reforms that he champions (such as charter schools). He does this with personal attacks, sundry quotations of education professors, and what masquerades as an overview of her life’s work. The references to her personal life do not deserve the dignity of a response. It is Carey’s comments on her scholarship that should be corrected, as they trivialize a powerful and lasting body of work. I have read all of Ravitch’s books and many of her articles and essays. I helped with the editing and documentation of her latest book, The Death and Life of the Great American School System: How Testing and Choice Are Undermining Education (2010). I do not always agree with her, but I admire her work and have learned much from it. Her books have sent me on many a research foray; their documentation has been invaluable. Sometimes their lessons have surprised me. Her 2000 book Left Back: A Century of Battles Over School Reform (in large part a critique of educational progressivism) inspired me to read the work of progressives such as Harold O. Rugg, George S. Counts, and Boyd H. Bode, as well as that of progressivism’s critics. It was The Death and Life of the Great American School System (frequently quoted for its criticism of charter schools) that helped me understand why one might support the idea of charters. A gift for dialectic runs through her work; no matter where she locates herself in an education conflict, she brings opposing viewpoints to life. The Winnetka approach to education used the methods of progressive education—individualized instruction, group projects, creative activities, and motivation through students’ interest—to reach the goals of traditional education: knowledgeable and skilled students. Instead of rejecting spelling, penmanship, phonics, grammar, and arithmetic as unimportant, Washburne and his teachers tried to figure out the best ways to teach them; they carefully tested and tabulated each pupil’s progress. They developed new teaching materials and wrote new textbooks; they conducted research to see whether the pace of instruction was too fast or too slow. Carey cites unnamed reviewers of Left Back who note that Ravitch included “many contradictory ideas ... under the ‘progressive’ umbrella.” But Ravitch herself notes in the book that educational progressivism came in many forms. 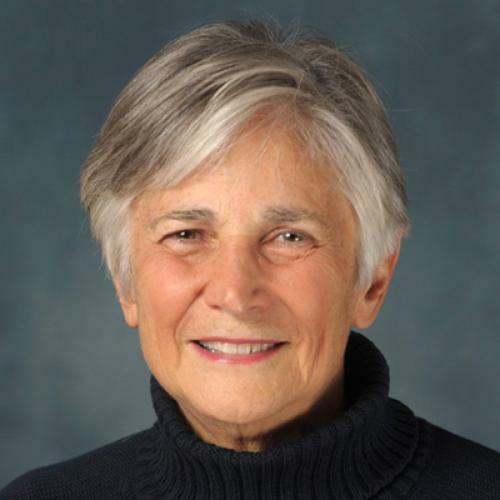 Ravitch outlines four ideas in progressive thought: first, that education might become a science; second, that schools should base their instruction on the needs of the child; third, that the ends and means of education should be based on the needs of society; and fourth, that the ends and means of education should be changed in order to reform society. Underlying all of these (as Michael John Demiashkevich notes in his Introduction to the Philosophy of Education) is a belief in the primacy of change and the necessity of adapting continually to it. To the extent that progressives subjected schools to an ideology of change, they limited the potential of their reforms. Schools must make and adapt to changes but must also maintain integrity, preserving what they value. This argument is at the heart of Left Back. Equally erroneous is Carey’s cavalier depiction of Ravitch’s second book, The Revisionists Revised: A Critique of the Radical Attack on the Schools (1978), as “a scathing attack” on scholars who portrayed public schools as deliberate agents of social, racial, and economic oppression. But the book is about historical scholarship, which must be open to criticism. “In my own field of educational history,” Ravitch writes in the preface, “radical historians have encountered little opposition; even books which, in my view, flagrantly violated the rules of evidence and logic went unchallenged.” The book takes the risk of bringing out the disagreements that may already have existed in hiding, and pointing out some of the errors that radical revisionist historians have committed. Thus it serves as a warning and guide for any scholar or writer. Ravitch criticizes not radicalism per se but sloppy radicalism, radicalism full of uncontested errors, radicalism that tries to force history into a predetermined shape. Carey writes that Ravitch “accused well-known revisionists” such as Michael Katz of “promoting arguments ‘entirely consistent with an anarchist outlook,’” among other things. But he takes this quote out of context, not even providing the full sentence. Ravitch’s point (which comes at the end of a compelling description of Katz’s 1968 work The Irony of Early School Reform) is that Katz, like anarchists, distrusts education reform, even radical reform, because of its cultural impositions, and like reactionaries (of a sort), favors gradual community action over the action of reformers. At the same time, Ravitch recognizes the value of Katz’s insights, even when criticizing his analyses and prescriptions. She describes The Irony of Early School Reform as “a well written, sophisticated effort to apply social science concepts to historical problems” and states that “he ranges easily across a wide field of disparate data, weaving facts and ideas into a coherent interpretation.” The reader is left wanting to read him, not dismiss him. Moreover, Ravitch does not regard the radical revisionists (or historians overall) as static; she recognizes each historian’s ability to refine and improve his or her work over time. She comments, for instance, that Joel Spring’s The Sorting Machine (1976) “suggests the possibility that the radical-anarchist orientation, when grounded in a realistic appraisal of American politics and disciplined by historical craftsmanship, might make important contributions to our understanding of educational policy.” Similarly, Ravitch describes how Stephan Thernstrom sharply modified his earlier ideas in response to new information; he found that there was much more upward mobility in the late nineteenth and twentieth centuries than he had previously concluded. A historian’s search for truth does not come to an end, nor need it be constricted by ideology. But Carey suggests that Ravitch pitted historians against each other. He quotes Ellen Lagemann, former dean of the Harvard Graduate School of Education, who states that the book “forced people to be with or against the revisionists” and that “it was many years before that split began to heal.” Carey does not note that Ravitch points the way to the healing of such a rift (which most likely preceded her book). Nor does he mention the book’s conclusion that “it is possible to see American history as something other than a road map to heaven or hell” and that “in order to judge [schools] by reasonable standards and in order to have any chance of improving their future performance, it is necessary to abandon the simplistic search for heroes and devils, for scapegoats and panaceas.” The radical revisionists are not scapegoats in this book; they have contributed to the stridency of educational discourse but did not cause it. The book carries on the tradition of Bagley, Kandel, and others—of those who point out extremes of education discourse and call for something more discerning. In a time of knee-jerk reactions, anything one says, no matter how reasonable, is written off as extreme. Whatever does not fit into someone’s platform belongs to the opposite camp. A gulf grows between what people actually say and what others say they say. Carey’s patchwork judgments reflect this climate; they say far more about him and about education discourse than about Ravitch. Anyone in doubt about Ravitch’s academic contributions should turn to her books, which illuminate education conflicts of the past and present, draw attention to fascinating personages and writings, and make for invigorating reading. Diana Senechal is the author of Republic of Noise: The Loss of Solitude in Schools and Culture.